Autumn has finally arrived in the small town of Bascom, North Carolina, heralded by a strange old man appearing with a beaten-up suitcase. He has stories to tell, stories that could change the lives of the Waverley women forever. But the Waverleys have enough trouble on their hands. Quiet Claire Waverley has started a successful new venture, Waverley's Candies, but it's nothing like she thought it would be, and it's slowly taking over her life. Claire's wild sister Sydney, still trying to leave her past behind, is about to combust with her desire for another new beginning. And Sydney's fifteen-year-old daughter Bay has given her heart away to the wrong boy and can't get it back. 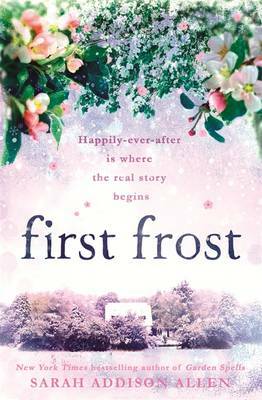 From the author of the New York Times bestselling sensation GARDEN SPELLS, FIRST FROST is magical and atmospheric, taking readers back into the lives of the gifted Waverley women - back to their strange garden and temperamental apple tree, back to their house with a personality of its own, back to the men who love them fiercely - proving that a happily-ever-after is never the real ending to a story. It's where the real story begins.